I know, four lines, but if I didn’t write them up there, I’d have to write them down here. I was out trying to get some pictures on Bourbon Street early one morning. Not much is open, but the shops in Musical Legends Park were. I had asked the bartender if he served food. He didn’t, but he pointed to a little shop that did. He added that I could bring the food back to his bar. The rest is easy to figure out. This post is part of Linda G. Hill’s One-Liner Wednesday series. The gallery contains some of the pictures I took while searching for doors. Tomorrow, I’ll share the first wave of doors. The only music on Bourbon St at this early hour. The guy was pretty good. I might be able to wiggle through but I think I’ll cross the street. A lot of trucks, delivering a lot of alcohol. You have to love the optimism here. A room deodorizer is not going to cut it here. The city washes the street – every day. Nuff said. I think I did better with a seafood po boy and a beer. The conference fell in between the two weekend of Jazz Fest. The park was closed, but it would be open by the time I was coming back. Your one liner days are so fascinating, Dan. A picture speaks a 1000 words. You take us on a journey. . . Thank you Robin. It’s so much easier to share photos here than on my Flickr site. This lets me put them in context. Does it still smell like beer and garbage on Bourbon Street? It had a distinct odor when I was there in ’91. When you were having that beer at 10:30, it was 5:00 pm somewhere in the world. Yes, it still smelled. It improved significantly after the power washing. I think it was 5:30 in France. For a while I was a big Anne Rice fan and read most of her books. I’ve wanted to visit New Orleans ever since … especially the cemeteries. We drove by a few cemeteries, and I would love to have had an extra day to visit them. I don’t think I’ve had a fair view of New Orleans. I’ve only been twice, for the same event and mostly stayed/walked/ate/drank in the same places. I doubt I’d ever go there on vacation though, unless it’s in February. It was too hot and humid for me. Ha ha – sorry to be a bad influence, but that was the best breakfast. I haven’t had the pleasure of visiting New Orleans yet, despite being a southern partisan, but when I do, I hope it’s during Jazz Fest. Good post, Dan! Nawlins is only 3 hours from me. I love it there–my husband, not so much. So we watch NCIS: NOLA every week……sad. You guys are probably accustomed to the heat and humidity. I found it very uncomfortable. I walked around a couple of times, but mostly I was confined to event-related activities. I need to check out NCIS now. Beautiful Dan. The last time I was in New Orleans was just before Katrina. We always love the city and enjoyed your pics. Thanks John. I have enough pictures for a few “doors” posts, but I won’t OD on them. I plan to dribble them in here and there. It was a fun week. We actually went from our hotel to the event party as a parade. 800 Information Geeks walking behind a marching band. Can’t do that in Hartford. Yes. The state police would have you all in wagons. Been there! I visited just for a weekend in 2003. Loved it! Last time I was in New Orleans was almost 20 years ago, long before I got into photography and doors. I’d love to go back there for a doorscursion now – you lucky dog. I was there in 84. That was during our Epic ” 6 week USA Road Trip”. We had a full couple of days there. We went for the World Fair. The theme was water. Looking forward to the doors! Thanks Deborah. The food was delicious. Crayfish, sausage, rice, beans, corn on the cob, barbecue…all washed down with many beers (of all sizes). Sorry Wendy. Usually, when I was eating/drinking, I was reluctant to touch my camera or phone because there weren’t enough napkins :) I did have some comfort food though. Fantastic pictures, Dan. Loved this. I’ve never been to New Orleans. I’d love to see (i think it’s called) the Garden District some time. But I have been to Key West and done the Duval Crawl… I imagine the smell is about the same. LOL. Have a wonder-filled Wednesday. Hugs. Ha ha – You’re probably right about the smell Teagan. It was a good week. 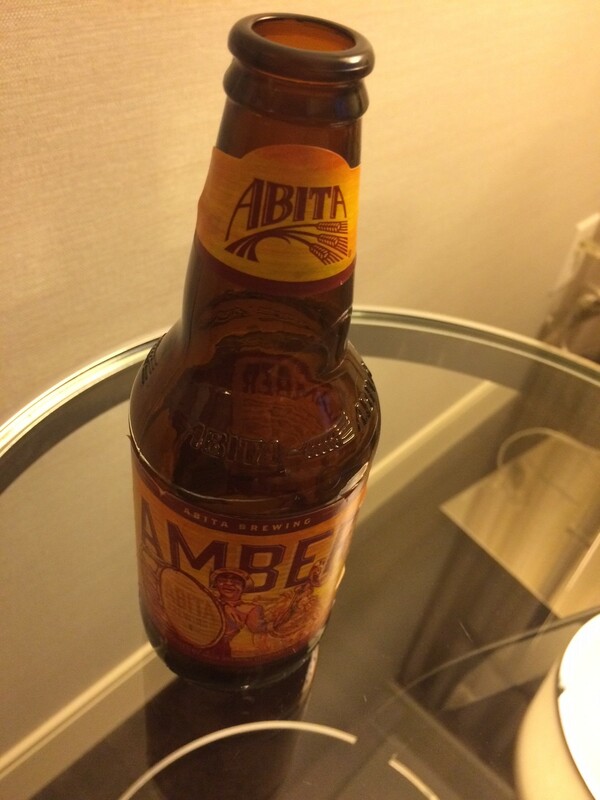 The conference was really good, and the food/drink/activity was NOLA at its best. I love New Orleans…..my wife doesn’t like the smell….one has to get past that and just enjoy it for what it is….great pictures!! I would have done the same thing!!! Ha ha, Amy, you made me smile. Good!!! We ALL need a good laugh!!! Tee tee ….. Watched “NCIS New Orleans” last night and it didn’t look quite like this, although at least you didn’t come across any dead sailors or Marines! :-) Haven’t been there since I was too little to remember and not sure if I want to go or not. But I’ll enjoy “tripin’ ” with you. Thanks Janet. I did see (didn’t photograph) a few folks that were in a questionable state. I need to watch that spin of NCIS. I like the show, but I haven’t seen the NOLA edition. Kinda like Law and Order. I liked some of the spin-offs, but the original was the best. Thanks ! I don’t see a job in the travel industry in my future. It was a fun week though. I’m glad you enjoyed. Thanks. I caught sandwich for breakfast… my favorite. Can’t wait to see the doors…. Ha – now I know how to get your attention. Your post reminds me that the morning after is also an opportunity for a new beginning. That’s a very important observation, Val. I think, in most of these places, it will be a repeat of the day before, but we are given a new start, each morning. I heard the city’s name pronounced so may ways. I tried to capture the bartender’s version. Great pictures. By the way, what time of the day you love to stroll around the city? Early morning like in the pictures, or late afternoon, or late night when everybody’s heading home, less crowd on the street? For these photos, Sharukh, I left my hotel at 6:45 am and I finished up after 9:00. I am usually in Wonderland (dreams) during those hours. I was an early riser, but now that I work late night, I usually wake up late. I have no desire to see New Orleans in its entirety, but I’d love to spend a few days in Musical Legends Park. Of course, this would be without the crime there. Yep, I’m a jazz fan. If you’re a jazz fan, this would have been the time to be there. Our event was during the week between the two weekend of Jazz Fest. The official activities were weekend only, but a lot of the bands were performing elsewhere during the week. It’s Louisiana, drink when you want to. Ha – From the ambassador himself! Thanks Bryant. So did you get to take in any of Jazz Fest? It can get as colorful as Mardi Gras but I love the energy of it. If my son hadn’t been in NC a the time I def would have had you look him up. He knows the BEST places to catch brunch. Unfortunately, no. I got in late Sunday and flew home Friday afternoon – very bad timing. Well they are always celebrating something; so, odds are if you visit again, you might land in the middle of one! The event party had a pretty good band, tons of food and adult beverages. Sounds great. Glad it didn’t disappoint.